The event below has concluded successfully. In October, elected leaders, hedge fund managers, and crypto geeks will come together by day with the aim of making Florida a Blockchain-friendly state and then throw down a celebrity and superstar DJ filled deep house party worthy of Miami’s nightlife reputation. 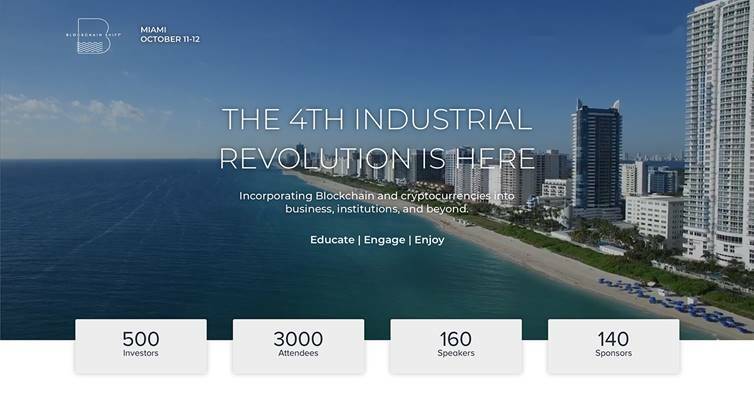 The first-annual Blockchain Shift conference (www.blockchainshift.io), co-organized by the Florida Blockchain Foundation, Park Capital and Dan Viola (October 11th – 12th, 2018), will bring together leaders in blockchain technology, A-list speakers including elected officials, Wall Street veterans and federal regulators, with the aim of creating awareness for the potential of distributed ledgers, cryptocurrencies and the democratization of finance. “The list of reasons to start Blockchain-powered businesses in Miami is long, starting with no state income tax, great weather, cost-effectiveness, proximity to Latin America, and a culturally vibrant city where talented people actually want to live,” said Dan Viola, attorney, entrepreneur, and co-founder of Blockchain Shift. By advocating at the local and state levels to foster a crypto-friendly environment, he said Miami and by extension Florida stands to take a leap forward in the establishment of a blockchain technology hub, providing a generational opportunity to create more economically prosperous and equitable communities. It’s widely believed that Blockchain technology, the underpinning technology behind cryptocurrencies like Bitcoin, will have a more immediate and profound impact on industries where record keeping and transactions are central; including cross-border payments, insurance, real estate and supply chains, which are key pillars of the state and regional economy. “The time is right for executives across industries and public sector leaders to start learning more about blockchain and its transformative impact, and to become part of the future, instead of just talking about ICOs,” said Alex Lopatine, Managing Partner of Park Capital and Executive Chairman of Blockchain Shift. Confirmed speakers include Lieutenant Governor Carlos Lopez-Cantera, Alchemist Co-Founder Steve Neyaroff, Jalak Jobanputra of Future/Perfect Ventures, Jon Najarian of Investitute.com, Paul Brodsky of Pantera Capital, Chris Ferris of IBM’s Digital Business Group, Anthony Scaramucci of Skybridge, Nick Spanos of Blockchain Technologies, the Mayor of Miami – Francis Suarez and of the Mayor of Coral Gables – Raul Valdes-Fauli. Confirmed sponsors include IBM, tZERO, Bloomberg, SeriesOne and Security Token Advisors. A second stage will be available for startups to present to accredited investors and receive general marketing and legal feedback. The event will feature keynote addresses, panel discussions and fireside chats with topics ranging from Banking and Blockchain, Cybersecurity, Regulation, Bitcoin Mining, Blockchain Solutions for Wall Street, Real Estate and Art, Music, Crypto Hedge Funds, Crypto Broker-Dealers and a current look the regulatory environment. According to organizers, Blockchain changes the crowdfunding equation for startups by enabling companies of any size to raise money in a peer-to-peer fashion, through globally distributed share offerings. Blockchain, they say promises to help address the lack of early-stage VCs in markets like Florida and Latin America, helping startups get off the ground faster by removing the delay often associated with getting initial funding. Tickets to the two-day event come with access to a Night Shift, a world-class 14-hour party featuring top-shelf spirits, internationally-renowned DJs, colorful show and VIP bottle service, taking networking to a new level, say, organizers. The event, they say will also provide white glove service via a concierge app, accepting crypto for tickets and sponsorships, delivering badges pre-registered to the hotel and preventing inconveniences such as long lines. A portion of the event proceeds will go toward funding the Florida Blockchain Foundation, a new 501c3 organization aimed to create a crypto-friendly state and hub for the Americas, by stimulating high-paying jobs, increasing the tax base and ultimately fostering a more equitable economic landscape for all; the National Mining Association, whose mission is to build support for public policies that will help Americans fully and responsibly benefit from abundant domestic coal and mineral resources; and the Florida Alternative Investment Association (FLAIA) which focuses on Community Building, Education, Branding, Capital Attraction, Business Attraction, and Policy Optimization.